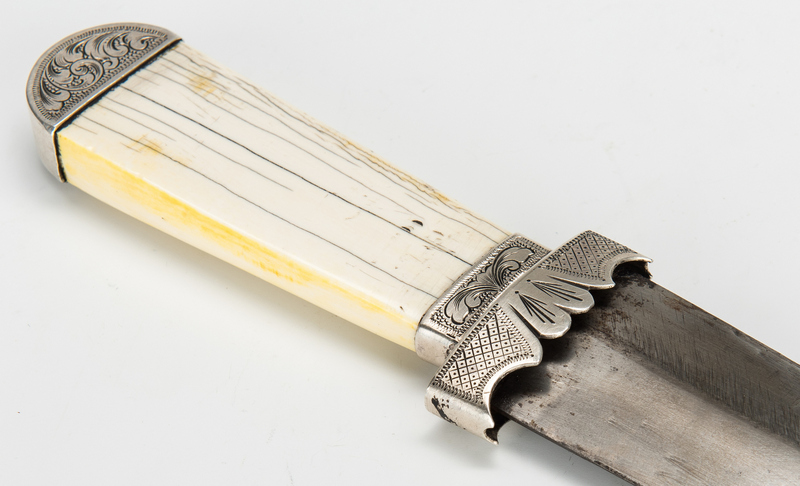 East Tennessee Mid-19th century Samuel Bell-style dagger point side knife with coin silver and ivory grip. 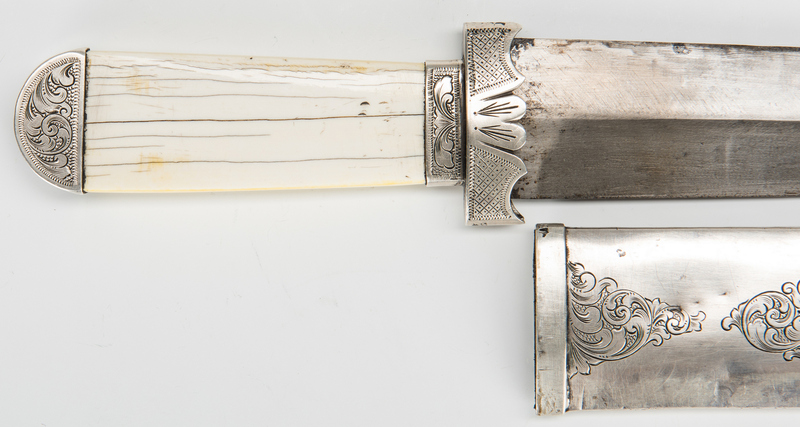 Coin silver scabbard with fine scrolled, crosshatched and wiggle work engraving, leather lined. Blade length – 6 7/8". Overall length with scabbard – 11 1/4". Provenance: Private collection; acquired from a Newport, Tennessee family in 1972. CONDITION: Blade in overall good condition with few areas of light pitting. 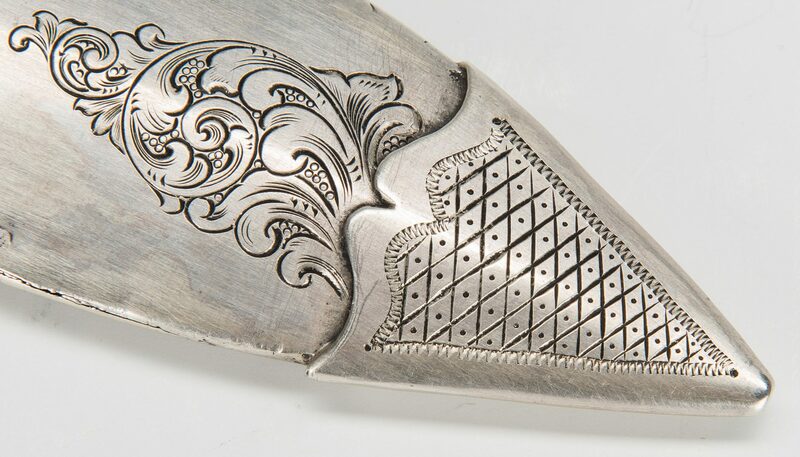 Areas of tarnish, dents to scabbard. Hairlines and yellowing due to age on hilt.